Banned drivers policies - banned car insurance - car insurance banned driving policies. Car insurance banned driver policies - banned driver car insurance quotes - driver ban no insurance cover. Contact us for a banned drivers insurance policy - cheap insurance for banned drivers - driving ban insurance. At Devon Direct we really can help you get back on the road with our low cost and comprehensive DR10 driving ban insurance policies. 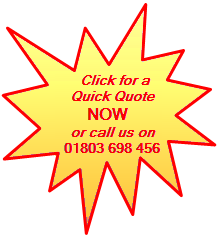 Call us now and speak to one of our experienced team. We can even quote you if you had a ban for no insurance in the past. We will work hard to negotiate the most competitive premiums for you, with the best levels of cover. As an independent insurance broker our aim is to provide you, our client with the best premium we can negotiate without compromising the cover and the personal service we can offer. If you have a DR10 conviction, and have had trouble getting cheap banned insurance cover, please do not hesitate to get in touch. We have had a wealth of positive feedback from customers who have been impressed with our attention to detail and value for money. Our friendly trained staff will gladly discuss all your requirements for driving ban insurance cover. We are in a position to advise you on costs, timescales and availability for all our insurance policies including insurance for motorbikes and commercial vehicle drivers. Contact us for insurance for previously banned drivers. Alternatively please click this link for banned drivers insurance and fill in a short data form to allow us to provide you with a DR10 banned insurance quote at the appropriate time. With the right people working for you it's never as bad as it seems. We also provide public liability insurance for contractors and tradesman, shop insurance, office insurance, motor trade insurance and all general commercial insurance as well as UK holiday home insurance (including contents) and motor insurance for a wide range of drivers. For more details and quote/purchase options, please click here. 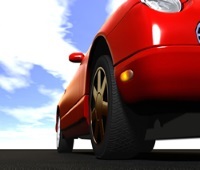 We specialise in offering banned driver insurance policies. We cover a wide range of driver profiles for those with one or more convictions and offer a range of policies for cheap motor insurance for banned drivers. We are always happy to listen to our customers needs for cheap insurance for banned drivers and strive to provide the total customer satisfaction that you would expect from a specialist banned driver insurance broker. 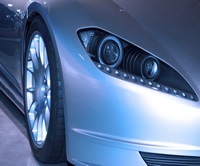 We also offer low cost insurance for banned drivers who own performance cars, bikes or commercial vehicles.